A Scriptural examination evaluating the validity of the English word church. Distinguishing the distinction between Christian and Churchman/Churchwoman. The day Lord Jesus pronounced no other pastors besides Himself (John 10:16). Examining the Holy Scripture! The WORD OF GOD Is Authoritative! I BELIEVE IN ONE GOD! Your browser does not support the video tag. Here is the direct link to this fantastic video: GoOut.LowRes.mp4. 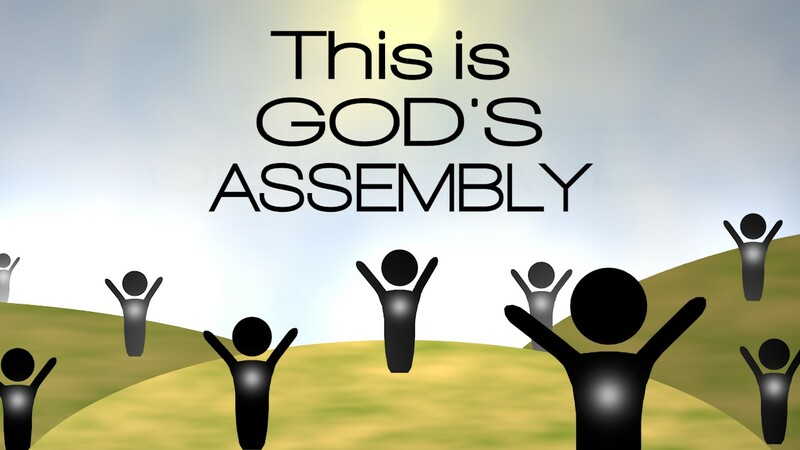 See "assembly" is correct as opposed to "church"
To see "poimen" related to "shepherd" and "pastor"
Our Lord Jesus Christ knew the glory set before Him! Seminary: Is It In the Bible? Pulpit: Originates In Man Or In God? The Standard of Truth: Our Lord Jesus Said "I AM the Truth"
The Word "Office" in the Holy Scripture: Offical Or Not? On Pastors: King Jesus Said "I AM the Truth"
On Office of Pastor: "Office" in the Holy Scripture? On Pulpit: A Platform In Man Or In God? Is Ecclesiology the study of church? Does the Greek word ecclesia translate to the English word church or assembly? What does Ecclesiastical matters really mean? Why the "true church" is so evasive? Is the office of pastor Biblical? Believing on Jesus is Christianity! Being Churchmen is not the same as being Christian! Scripturally identifying the illegitimate office of pastor.